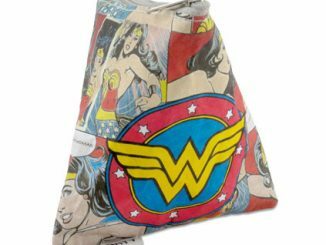 You can be Wonder Woman in the bedroom with the Wonder Woman Superhero Pyjamas, Wonder Woman in the kitchen by wearing the Wonder Woman Apron, or Wonder Woman out in the public eye when you carry around the Wonder Woman Hobo Bag. 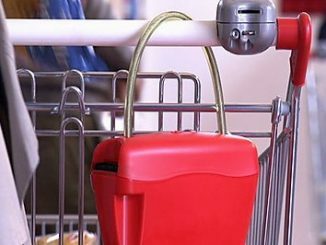 They say vibrant colors are in fashion this spring and summer. 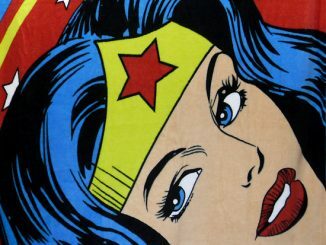 But for super heroines that’s a no-brainer; bright colors have always been in fashion. 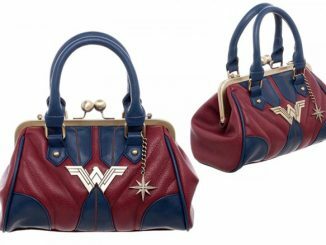 Wonder Woman knows that every woman needs a red handbag, so the bright-red Wonder Woman Hobo Bag will let geeky girls check the “red handbag” right off their must-have lists. 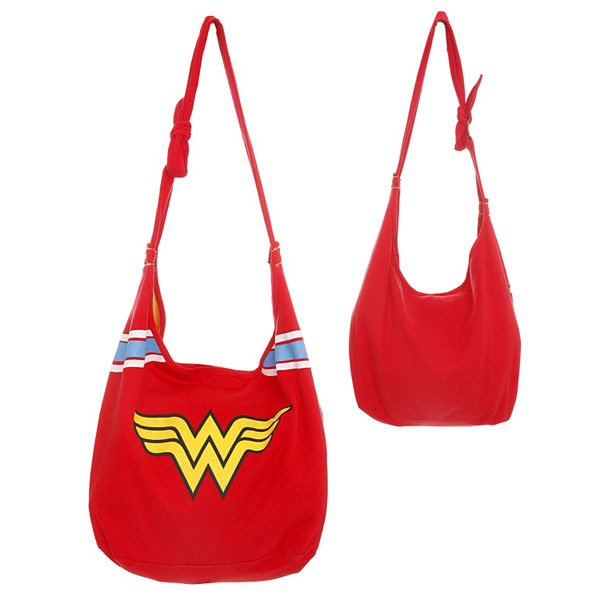 This hobo bag features a Wonder Woman logo and stripes. 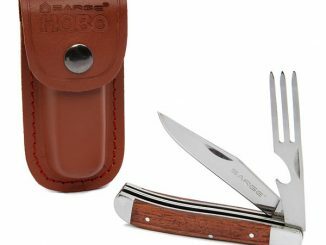 Interior has pouch pockets and a snap button closure. 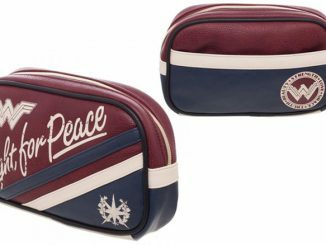 The bag’s cloth straps will sit comfortably on your shoulders or across the body for when you must run at high speeds. 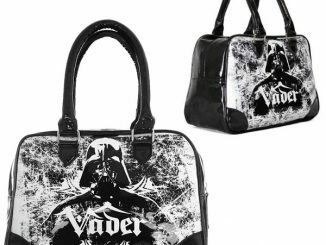 You can tie the straps to the length you desire. 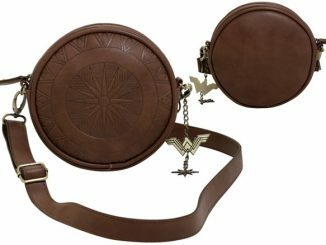 Lots of things can go in the bag, including Wonder Woman’s favorite I Love Men in Uniform Hinged Wallet. The golden-yellow, double double-u winged logo is unmistakable and can be seen from afar. Let the world know that you too fight for justice and shattering the glass ceiling. 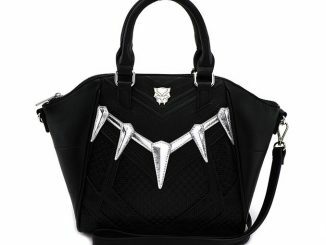 Get the officially-merchandised DC Comics Wonder Woman Hobo Bag at Hot Topic for $19.50.